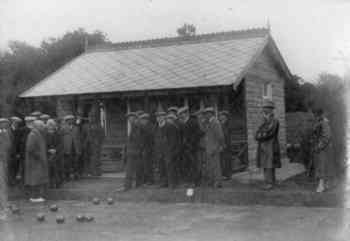 One constant in local life in Aberlady is the bowling club which has been around for more than a century. In fact it was thought that the club was founded in 1888 as there remains a copy of what was thought to be the original lease with Wemyss & March Estates. However in recent years someone contacted the club with photographs of a set of bowls which are inscribed with the club's name and a date earlier than that above. In 1888 the annual rent for the green was one shilling - equivalent to 5 pence in today's money. Wemyss & March Estates obviously saw the club as an asset to the village as the rent stayed at that level until 1971. Even then it was only raised to £1 per year. The first clubhouse was opened on May 30th 1923 ( shown above ), and the first known Club Champion was G. Donald In 1927. 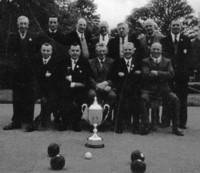 From 1927 to 2011 inclusive there has been 34 different Gents Champions - 7 pre-war and 27 post war. The first Ladies Championship was not held until 1956 when Mrs. M Yeoman was the winner. In 1941 with the World at war membership dropped to a low of just twenty six - plus five boys. It rose again steadily reaching a peak ( for the 1940s ) of seventy six inc. Ladies plus five boys, in 1946. The membership fee at the time was ten shillings ( 50p ) but within two years (1948) this had doubled to £1, a lot of money at the time. The current fee (2012) is £70 for full membership. Aberlady Bowling Club has regularly punched above it's weight winning many trophies through the years. As well as being successful at club level members have found success on the wider stage. 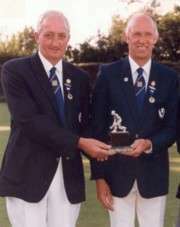 In 1988 Jock Brodie and Jackie Greenwood won the British Pairs Title in Wales, which was a major achievement. They were both involved again - along with Davie Balfour & George Marshall - when they won the Scottish Senior Fours title in 2004. In between these triumphs, in 2000, Jim Florence, Bill Dunleavey & 'Cha' Greenwood won the Scottish Triples title. The Ladies section have also been successful in various competitions winning the League a number of times, as well as winning the Haddington Trophy on more than one occassion. A few of the lady members have also won the Champion of Champions Trophy. Linda Black and Cathy Walkingshaw also saw success in the East of Scotland pairs competition. 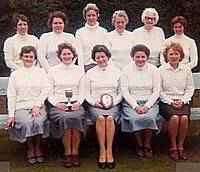 In 2009 Aberlady ladies ( a team of three players ) won the Jenella trophy for the second year running. 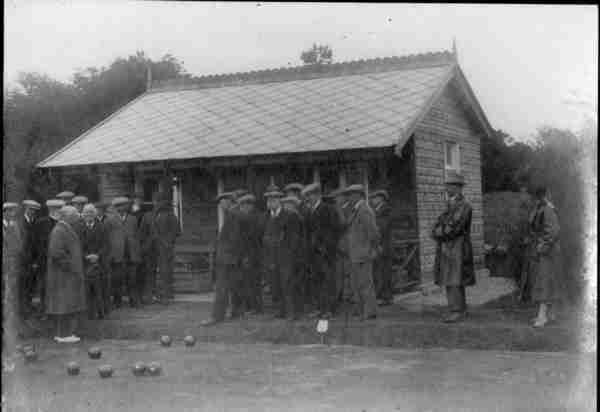 To this day Aberlady Bowling Club continues to be an important part of village life.